You’re happiest traveling, hiking through a beautiful forest, walking the beach and climbing to the edge of the cliff, and you want to spend your wedding day enjoying nature's beauty together? You need a photographer happy to hit the trail with you to capture your intimate wedding adventure. I love working with laid back couples that enjoy adventuring off the beaten path, and I’m ready to capture the special moments of your wedding adventure in Hawaii, California, Oregon, Washington, Colorado, or anywhere else in the world. It's all about you two and an epic location. I'm always up for an adventure, so we can customize your elopement exactly how you want it! Small, intimate weddings surrounded by your loved ones and the beauty of nature. I would have given her more stars if I could! Naomi was a phenomenal photographer who went above and beyond my expectations. She made us comfortable and made the session so much fun! We did engagement photographs on the beach and it was amazing. She even incorporated our dog! What made her above and beyond our expectations was the product of her work and her commitment to her clients. Naomi is an absolute joy to work with and we couldn't be happier with our photos! I really wanted to take photos at multiple locations and was thrilled that Naomi was also very enthusiastic about that idea! Our wedding day was absolutely perfect and we had so much fun! I'm so glad Naomi was there to capture our day on "film" so perfectly! She even got our wedding photos back to us quicker than initially quoted! 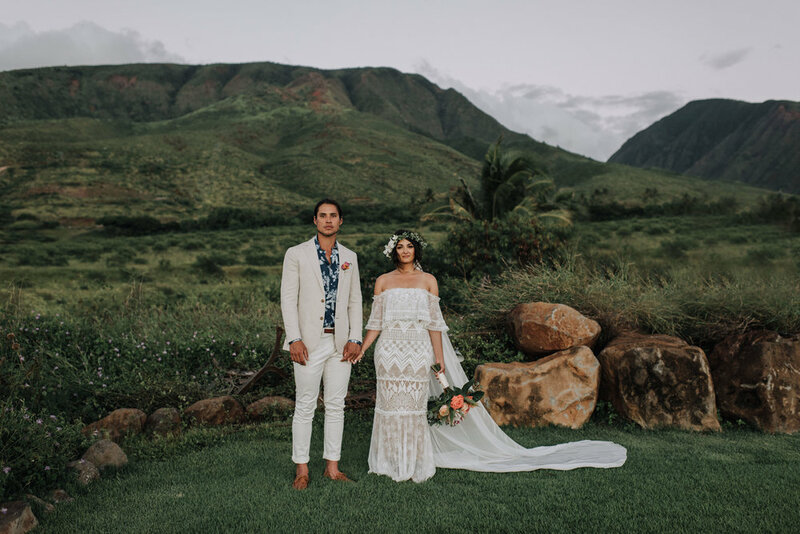 If you need a fun, adventurous wedding photographer in Maui Naomi is definitely your girl!! Naomi is a gem of a photographer and human being. She was a huge help in planning our surprise engagement at Nakalele Point, Maui in March 2018, and captured the special moment with such artistry. We're thrilled to have these photos for the rest of our lives. If you're looking for a high-quality photographer who is lovely to work with, has an adventurous and unpretentious natural style, and will go out of her way to make your moment a success...you have her in Naomi.